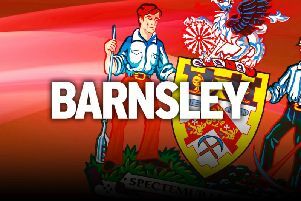 Barnsley again showed their promotion credentials with a hard-fought 0-0 draw at second-placed Luton. The Tykes had already drawn with leaders Portsmouth and beaten fellow play-off hopefuls Peterborough and Charlton this month before their trip to Kenilworth Road. And they had the better chances, mainly through in-form striker Cauley Woodrow. Woodrow thought he had broken the deadlock in the ninth minute, but his first-time shot hit the outside of the post. Adam Davies made a fine save to deny Alan McCormack yet Barnsley ended the first half and started the second strongly. James Shea had to be alert to deny Woodrow and then Dimitri Cavare as the visitors threatened an opener. Danny Hylton headed wide for Luton as the Reds earned a point. Subs: Greatorex, Hedges, Moncur, Jackson. Subs: Isted, Grant, Jones, Sheehan.